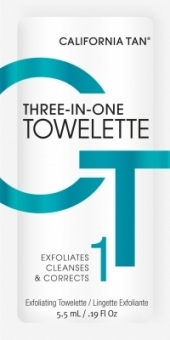 Exfoliate and correct skin by massaging with coarse towelette side. Gently clean and buff face and body with smooth towelette side. Use prior to sunless tanning treatment to encourage beautiful, even coverage.